In September 13, 2016, Mayor of New York City Bill de Blasio and the Department of Transportation unveiled a plan to add 75 miles of bike lanes to NYC streets. Extending among the five boroughs, 18 miles of these new bike lanes will be fully protected. This initiative is part of the Vision Zero plan, which will likely be completed at the end of the year. Once completed, the plan will result in the installation of more miles of exclusive-use bike lanes than in any preceding year. In preparation for these new lanes, the Department of Transportation has provided a document showing where they will be located. Some areas of particular interest for NYC motorists include Queens Boulevard between Eliot Street and 74th Street, Jay Street between Fulton Street and Sands Street, and Amsterdam Avenue between West 110th Street and West 72nd Street. While cyclists are obviously ecstatic about the bike lanes, New York City drivers should take extreme caution once these new travel routes open. It would not be unexpected for traffic police to patrol these areas during the first few weeks they are open to ensure that motorists are yielding the right of way to bicyclists and making sure they leave enough distance between their vehicle and a nearby cyclist. 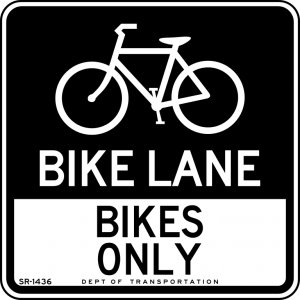 Although it is not always necessary for a motorist to yield the right of way before crossing or merging with a bicycle lane, the motorist may be required to allow any bicyclist in the area to proceed before the motorist continues his or her trajectory. Drivers should look for yield signs that alert motorists to the applicable safety procedures that they should follow at that intersection. This same rule applies to pedestrians crossing a street using a legal crosswalk. New York City traffic enforcement agents take bicycle safety very seriously. In May 2016, over 1,500 enforcement officers carried out the Bicycle Safe Passage initiative, which involved a crackdown on motorists who strayed into bicycle lanes or who failed to yield the right of way. Receiving a bike lane violation ticket can be a serious headache. Although it may seem like a minor infraction, New York City traffic courts take it very seriously. First, receiving a failure to yield violation involving a bicyclist can add three points to your driving record. According to New York traffic law, a motorist cannot have more than 10 points on his or her driving record within an 18-month term. If you receive more than 10 points in that period, your license will be suspended for 31 days. A failure to yield to a bicyclist ticket also carries a monetary fine of over $100. If you have received a failure to yield ticket involving a bicyclist or a bicycle lane violation, a knowledgeable and experienced New York traffic attorney at The Claro Law Firm is prepared to assist you. Whether this is your first ticket or a ticket that could potentially result in the suspension of your license, we will fight aggressively to ensure that you are treated fairly and that any baseless citations are dropped. To schedule your free traffic consultation, call us now at 1-877-631-3539 or contact us online.